Chatting with Ilya Kovalchuk and then Willie Desjardins one day after the 839-game, 830-point forward appeared in just six minutes and 20 seconds of the LA Kings’ 5-2 win over Edmonton allowed for an interesting window into some honest if awkward moments early into the marriage between a player whose skills are badly needed and a team that needs to win games by any means necessary. Speaking with the media after returning from the practice ice as one of a handful of players to take part in an optional skate Monday morning, Kovalchuk, who entered Sunday’s game as the Kings’ leading scorer but is clearly disappointed with both his and the team’s performance, responded for the first time since his minutes and usage were scaled back this week. Though he has averaged 17:28 of ice time this season and averaged more than 21 minutes per game in his 10 NHL seasons from 2003-13, he logged nights of 12:47, 16:02, 13:23 and 6:20 this week, including only one third period shift Monday and none on Sunday, both Kings wins. 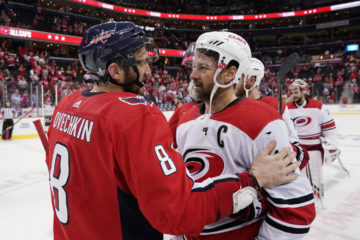 “I don’t know how to be on the bench because that’s the first time in my career I sat there for the third period, but I’m that kind of guy – I don’t care, we were winning, and that’s all that matters,” Kovalchuk said. Behind the bench, this isn’t the easiest spot for Desjardins. His responsibility is to guide the team to wins, and with Kovalchuk mired in a nine-game point-less drought, isn’t going to rubber stamp ice time to a player struggling offensively. The latter part of Desjardins’ answer is encouraging, but it’s not necessarily a good reflection of the current state of affairs if the bar passed by a star player is that he’s “excited to go” out and play. The Kings, who rank 30th in the league with an average of 2.17 goals per game, signed Kovalchuk for his offense, which has stagnated since his three-point night against Anaheim in Desjardins’ first game. Asked whether it’s hard to be get going when he’s not getting the ice time to be able to do so, Kovalchuk responded, “I think you answered your question.” But the star winger was definitely not moping on Monday, and repeatedly noted that team wins are more important than his own playing time. He also acknowledged that he had sat down with Desjardins, though he declined to share specifics of their conversation. Desjardins had shared before Sunday’s game that Kovalchuk is a proven goal scorer and not necessarily a checker, so there were natural follow-up questions about whether his play away from the puck can improve. 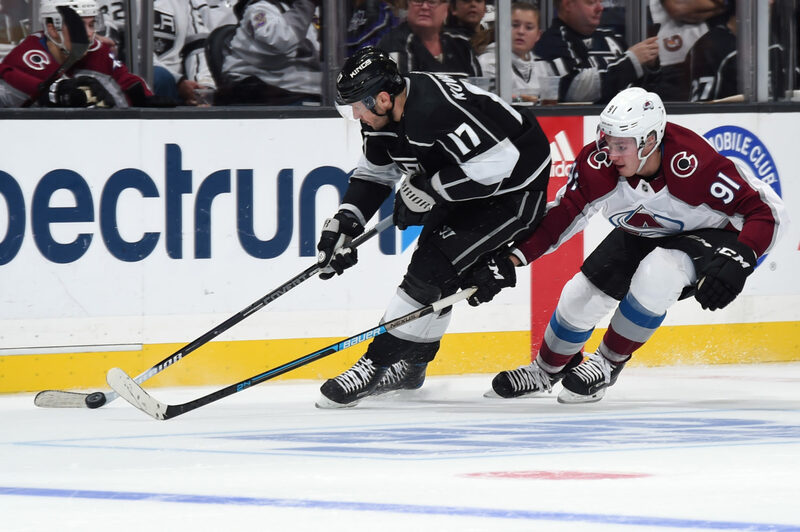 The aspect of learning new things as the oldest skater on one of the league’s older teams might not come naturally, but Kovalchuk understands he’ll have to fine tune his game to turn around his recent results. The communication, it’s hard because you’re hearing things you don’t want to hear. Like, that’s not something you want, so it’s hard for him to say that. And who’s to say that he can’t get out of his spot where he is scoring again, and he is being a major factor? If you look early, he put up quite a few points early. He was contributing. My first game here he had three points, so it’s not like it’s a guy that [can’t] contribute. We’re trying to juggle guys, trying to find out a place and how everybody feels and trying to work more young guys in, so it’s a bit of a juggling act right now. We always watch and see where guys fit in and what they’ve done, and it’s my job to try and make them successful. It’s not my job to make ‘em play poorly. So, I’ve got to try to find away to do that. But it’s my job with every other player to do the same thing, too. I’ve got to do the same thing with Clifford, Thompson, all those guys. I have to find a way to help play and the young guys. It is a challenge, but for me it’d be great if he gets back on a roll and starts scoring. It’d be great. I always talk about management about things, but it’s my job to coach the team. That’s what I have to do, and I have to find a way to win games and to develop players, and that’s my challenge, and that’s what they hired me to do. I don’t know, but the most important thing, we won last night, so that’s good, that’s a positive. It doesn’t matter who played how many minutes. It’s important to win, especially in our situation. Just work. That’s it. That’s all I can do. I can control just what I can do on the ice. I try to work hard evwery day, get myself better, we will see what’s going to happen. I don’t think anybody expected that kind of start from us, but I think we have good leadership here and a good veteran group. The guys know how to win – that’s important. I think our injured guys are close to being back in the lineup, and that’s going to give us some buzz, too. We just need to take it one game at a time – we have a lot of divisional games in front of us. We just have to battle through that. We’re not from the playoff pot – that’s the best thing. We just have to play the way we did last night. Yeah, it’s easy. I’ve known the guys for a long time. I played against them, and it didn’t take much time to know each other better. 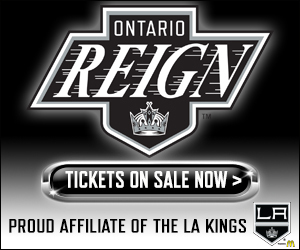 –Jonathan Quick was the one goaltender on the ice for Monday’s optional. Barring any silly business, he’s making his return this week. “Unless there’s a setback, he’ll play on this trip,” Desjardins said. “I expect to see him play.” Los Angeles plays at Vancouver Tuesday before a Thursday-Friday back-to-back at Edmonton and Calgary. They return home to face Carolina on Sunday. 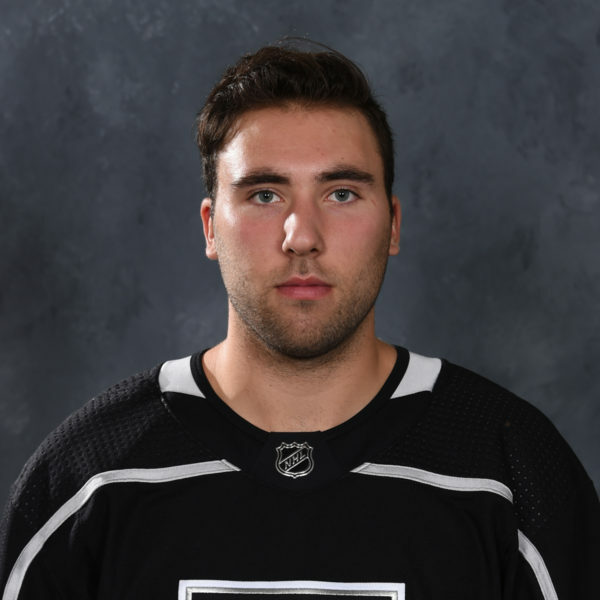 –23-year-old forward Sheldon Rempal has again been recalled from AHL-Ontario, where he led the Reign in goals (eight) and points (19) and is tied for first in assists (11). 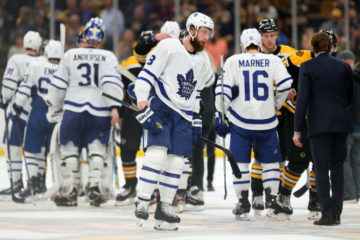 He has been held scoreless in three games with Los Angeles but scored the game-tying power play goal on a bang-bang feed from behind the net by Matt Moulson as Ontario erased a 6-2 deficit with four third period goals before winning, 7-6, on Brett Sutter’s overtime marker Sunday afternoon. We were expecting a corresponding roster move, but only Rempal’s call-up has been officially announced. 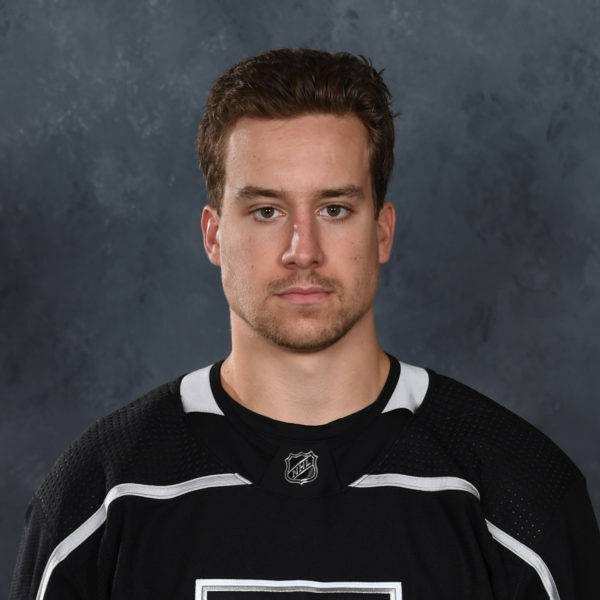 With Rempal’s recall, the Kings are at the maximum 23 players, though that includes Trevor Lewis, who is week-to-week with a foot fracture and still on the active roster. Another move awaits with Quick nearing activation. It’s not necessarily tied in here, but we’re also expecting a Gabriel Vilardi conditioning assignment to Ontario this week or early next week. The 5-foot-10, 165-pound Calgarian could have his first opportunity to play an NHL game at Scotiabank Saddledome when the Kings visit the Flames Friday night. 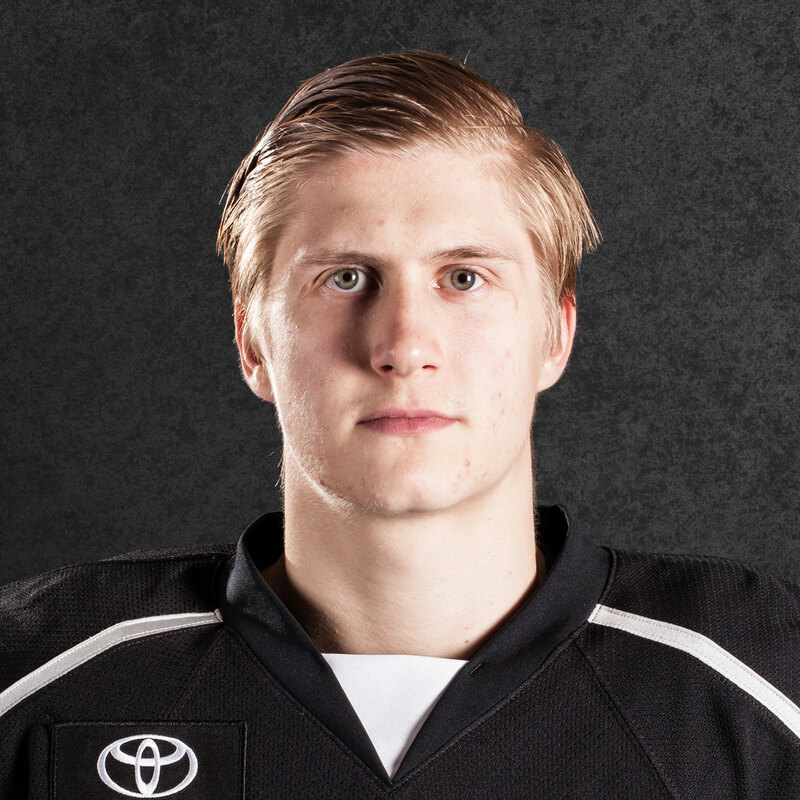 I think Kempe is a good hockey player. He’s going to be an up-and-coming player here that’ll be here for a while. Luff’s also surprised since he’s come back. He’s shown a different level. So those are two guys that have just played well, and it enables you to play other guys with him. Luff’s not a scorer. Like, he’s not going to score every game like he’s scoring now. You can’t expect him to do that. He’s going to be a good, solid player. That’s what we’ve got to look forward for him, and he’s done that and he’s given us more than that. If he goes two games or three games without scoring, it’s not like I’m going to be ‘well, what’s wrong with him?’ You’ve got to expect that he’s a young player and he’s just finding his way. We had more, and that is a challenge. The game, it’s tough, though. Every team comes in here ready to play, so it is a challenge. But I thought our group as a whole, I thought we were ready. We wanted to play well, but it’s always sustaining it. And maybe we caught Edmonton off-guard a little bit too, and then they found their game, and then it got a little tougher. We need that effort on the road. Like, the road’s going to be tough. These three games are going to be hard games, and this is a good challenge for our team. It always helps when your big guys play well. That just makes a difference, and he had a good game. 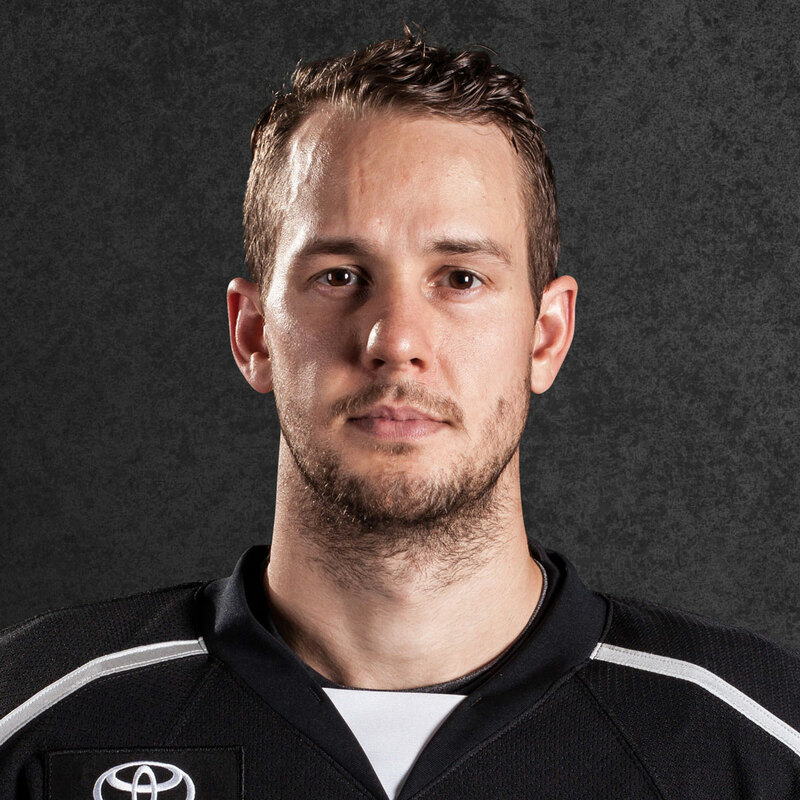 Doughty’s playing well, so some of our big guys are going in, and hopefully Quick’s back. The guys that have filled in for him have done well, and Petersen’s been great. We’re looking forward to those big guys contributing.